The great luxury liners are all but extinct today, a glorious closed chapter in the history of transportation. This sumptuous volume recalls that splendid time when the great steamers were the proudest ships afloat. Over 180 superb photographs (many never before published and rare) depict, both exterior and interior, a total of 101 ships, such as the LEVIATHAN, MAURETANIA, ILE DE FRANCE, QUEEN MARY and many others. 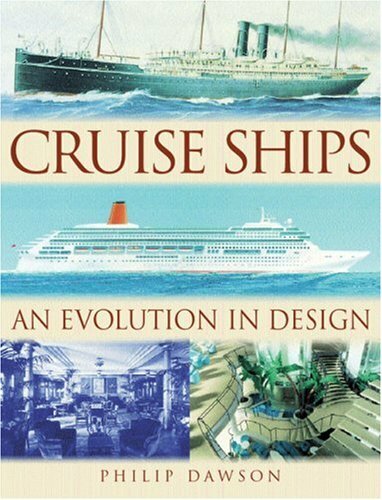 This beautiful book documents the history of the great ocean liners, from accounts of early ocean-crossing vessels such as the Mayflower to modern state-of-the-art cruise liners used exclusively for holiday travel. The great ships--including Imperator, Île de France, Normandie, Queen Mary, and Queen Elizabeth--are portrayed as ambassadors for their countries of origin, with each ship epitomizing the designs and fashions of its age as it competes in terms of elegance, luxury, technology, and speed. Monarchs of the Sea is well documented and full of interesting facts, figures, and personal accounts. Wonderful photographs, plans, and cutaways have been included. This is a book that anyone with an interest in maritime history should have.